Hi Everyone! We’d like to consider Eller Coffee to be at the heart of the community, and here is our map to show us at the centre of the town. 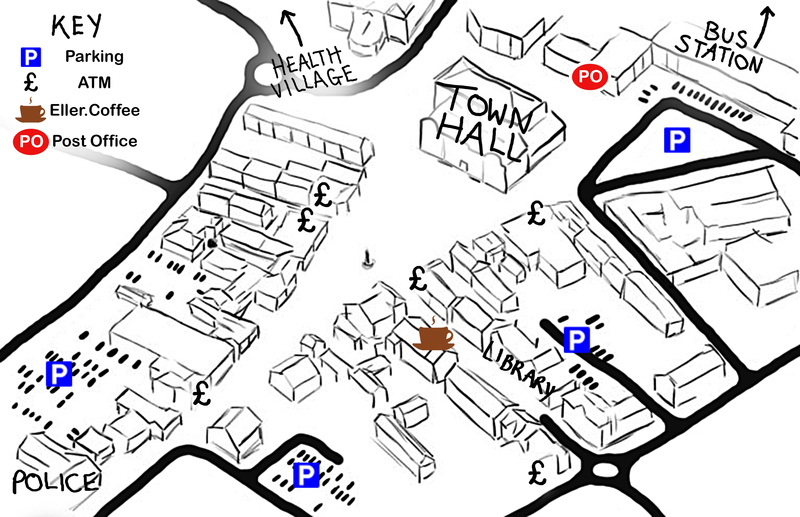 We’ve highlighted parking, cash machines and other useful places for you when you visit Ossett. Click on the image for the large version. Do remember that parking in council car parks is free after 4pm, and you can also get an hour of free parking in selected bays right in the centre by the Town Hall. Image is copyright local designer and artist Chloe E Dill.